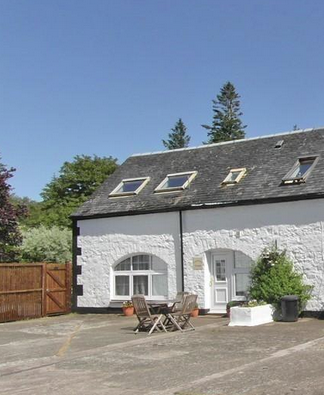 Courtyard Cottage is a very comfortable self-catering holiday cottage situated within the small hamlet of Gruline, just three miles from Salen on the Isle of Mull within walking distance of Loch na Keal and Loch Ba. With wildlife and superb scenery on our doorstep this centrally situated cottage is in an idyllic location with stunning views from the extensive landscaped gardens. This lovely 2 person cottage offers open plan living accommodation on first floor with large bedroom and beautifully refurbished shower room on ground floor. All linen and electricity are included. No smoking. Open all year.